Have you ever tried to visit a site that had an incredibly slow load time? If you have, chances are that you probably left the page and went elsewhere to find the information you needed. This happens far too often in the digital world, and companies are missing out on a lot of business opportunities because of the poor user experience (UX) that results from slow load times. Thankfully, there’s a relatively straightforward (and inexpensive) solution. A content delivery network (CDN) is a system of geographically-placed servers that delivers web content to users based on their locations. CDNs cache static content, or content that remains the same across all pages. For example, the images, fonts, colors, headings, line spacing, margin width, and other styling that you see on this page were delivered by CDN hosting. With CDN hosting, edge servers from all around the world are used to provide users with a faster way to load sites, without having to rely on a single server to provide users with web content. Better Performance: CDN hosting can drastically speed up the load time of web assets and content. Enhanced user experience (UX): Faster load times lead to a smoother user experience. Reduced Bounce Rate: When web assets and content load quickly, users are less likely to leave your site frustrated. Strengthened SEO: Site speed is a ranking factor for Google’s search engine. In competitive SEO fields, site speed can help give you a better ranking over your competitors. How Does CDN Hosting Differ From Regular Web Hosting? With regular web hosting, you’re relying on one main server to load your website to users from all around the world. Typically, browsers are restricted to a set amount of active requests (generally around six) to domains for content, meaning when that maximum number is reached, all other requests must be queued until availability opens up. CDN hosting allows websites to make multiple requests for resources to different geographically-placed domains, reducing queued time and letting web assets and content load faster. Let’s say you’re a company located in the Midwest and you use a server based in Chicago to host your website. While your site would probably load just fine for users in the Midwest region, users on the East and West Coasts, and especially international users, would likely experience slower load times because the data from your site would have to be retrieved from the server all the way in Chicago. CDN hosting, on the other hand, uses multiple servers located all around the world to load your website. Let’s use the Midwest company as an example again. If you’re located in the Midwest region of the U.S. and you use CDN hosting for your website, you’re now providing someone in China or Australia with much faster load times, because your site can now be loaded mostly from servers located in or close to China and Australia. This can only directly benefit your company by creating a better UX, lowered bounce rates, and potentially more revenue. 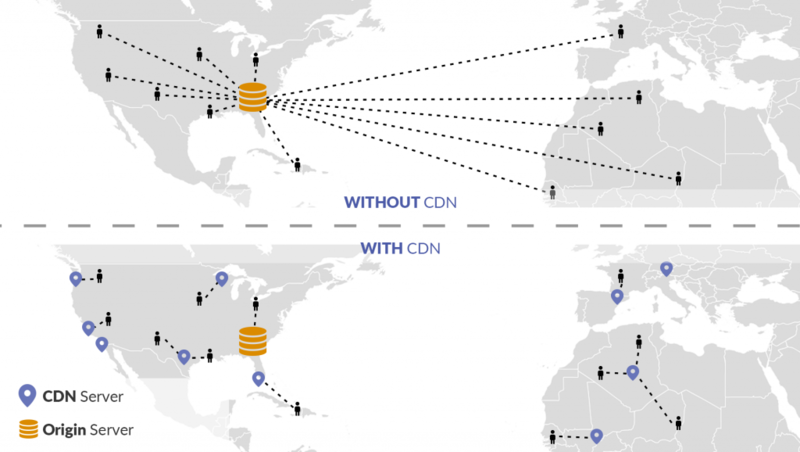 Is CDN Hosting the Right Fit For Your Company? 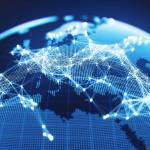 Determining if CDN hosting is right for your company should be a fairly simple process. As far as cost goes, it’s very comparable to that of regular web hosting, so that shouldn’t be an issue. If your company gets a lot of national and international traffic, CDN hosting is definitely recommended to better serve those audiences by providing them with a faster, and better-performing site. If your company only serves a regional audience (ie: a local coffee shop), using CDN hosting for your site probably isn’t necessary. There are several companies that offer CDN hosting, but the most popular options are Amazon Cloudfront, Google Cloud, Akamai, MaxCDN, Fastly, and Rackspace. CDN hosting offers a lot of various benefits for companies, but there are a couple of cons that should be considered. Difficulty Troubleshooting: CDNs can be difficult to troubleshoot due to a lack of monitoring and managing tools, and sometimes a lack of an adequate staff. Restriction: Certain countries have strict policies and may choose to ban IP addresses from certain CDNs, causing sites to load and function incorrectly. It’s best to check with the CDN hosting provider to clarify. We’d love to chat with you about CDN hosting. It’s crucial that you do your homework when selecting a CDN provider. Identify what your needs and goals are, and look into various options. For the best results, it’s recommended that you consult with an expert on CDN hosting. They can clarify any questions you might have, and get you set up by selecting the right CDN hosting provider for your needs.